It wasn't exactly *on* World Book Day, but it was pretty close. On March 10, Cressida Cowell, author of the "How To Train Your Dragon" series, as well as the brilliant 'Emily Brown' picture books, gave a gripping and hugely energetic talk organised by the Oxford Children's Book Group and Kennington Library. Cressida is an insanely talented author, and one possessed of a passion and energy that captivated a whole range of ages who packed into Kennington Village Centre to see her. In fact, you imagine that in a different age she would have gone exploring in the Hindu Kush, or hacked her way into the middle of a Borneo rainforest dressed in a smart tweed suit. And we found out why. As her child, she was taken once a year - for up to a whole month - to camp on a remote Scottish Island with her family (you can just make it out behind Cressida in the image above). And it was here - with the family left to fend for themselves, catching the weird, wonderful and often frightening sea creatures that sometimes even local fishermen had never seen - that the seeds of the Hiccup stories would take root. She shared secrets of the Dreamworks film, including the mind-boggling seven years it took to turn the book into the finished film (another one is currently in production). 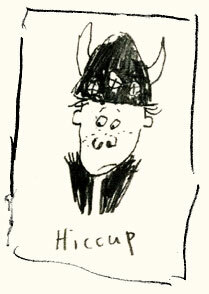 She also shared a few secrets about the last ever Hiccup book (which we can't tell you about). How to Seize a Dragon’s Jewel (the latest Hiccup adventure) – and a new series that is a secret and I can’t tell you about. Read masses. I have always read loads and loads – fantasy, murder mysteries, childrens and adults and just reading is the best writing tip because it helps you to see the way stories are put together. Also – not to be too self-critical. Children are interested in everything, all the really important things in life – all the big things; life, death. So you can write about those, but there are also no obstacles, so if you want magic, you can have magic. The worst is that they grow up on you and you have to write quickly. With three children you have to be pretty flexible and be able to write no matter what’s going on. I write in a shed at the bottom of the garden and you should see what builders are doing at the bottom of the garden at the moment – it’s decimated. So if I can write through that – it’s amazing what you get used to. It is fantastic to see your first book on the shelf in a real bookshop. But there are so many things that happen along the way it never seems like a breakthrough. 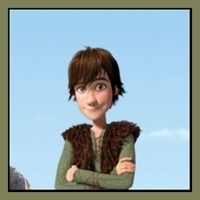 It was amazing when Dreamworks made a film of the first book – you never think that is going to happen! It had always been my passion to make animations that could entertain kids and make them learn at the same time. Love this post and it's nice to see the kids and the adults have a great time!